According to some, these things work. Last summer we had a nasty cockroach problem. 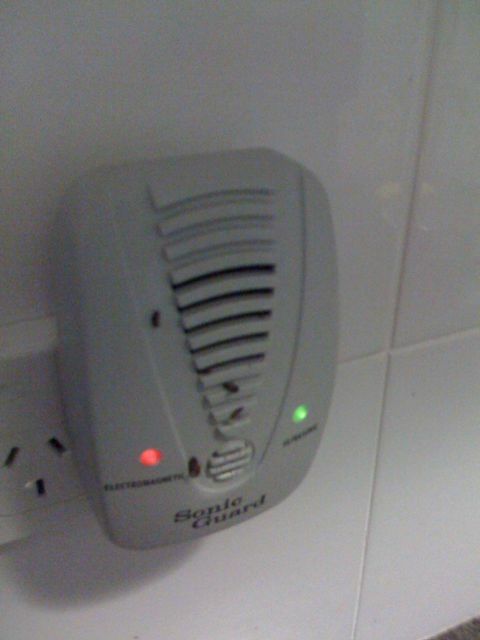 I went to bunnings and got a set of these “sonic guard” ultrasonic insect deterrent devices. I installed one in the kitchen and one on the opposite side of the house. Mother cockroach must have laid her eggs in this thing – and they hatched! Not to say no more – the device was binned – don’t let anyone tell you these things work – they are a scam – you’re better off using cockroach baits and glue paper.